All work is done off site by email, telephone, fax and regular mail from our fully equipped office. Each project is handled professionally with meticulous attention to detail, confidentiality and focus on customer satisfaction. We offer a variety of services including typing correspondence, documents and resumes, desktop publishing, tape transcription and organizing file systems. Please see our Services page for a full list. Whether you need ongoing support or just have an occasional need for services, we are here to help. Susan has always done a great job for me typing various proposals, architectural specifications and invoices. 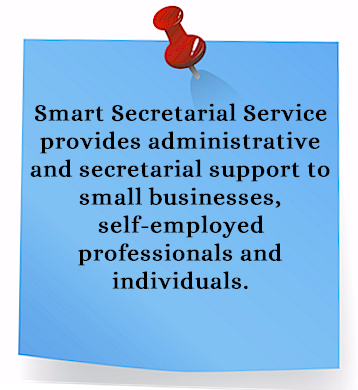 Smart Secretarial Service offers Bergen County New Jersey businesses administrative, virtual office assistant and typing services. Call Us Today for a Free Phone Consultation to Discuss Your Project! 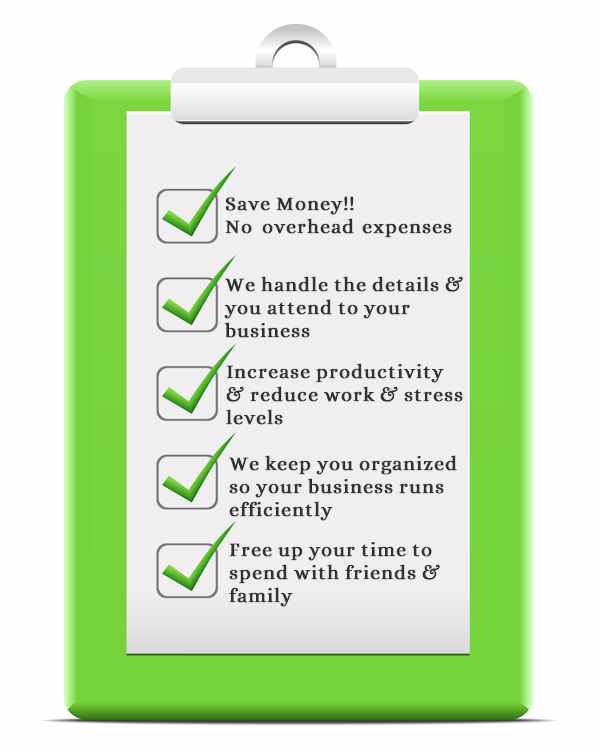 Call us at 201.262.6977 for a FREE 15 minute consultation!